So wrote Dickens in his famous opening to A Tale of Two Cities. The average modern reader would not recognise the name of Mrs Southcott, but at the time of writing, her name — and the mysterious box bearing it — were famous throughout London. 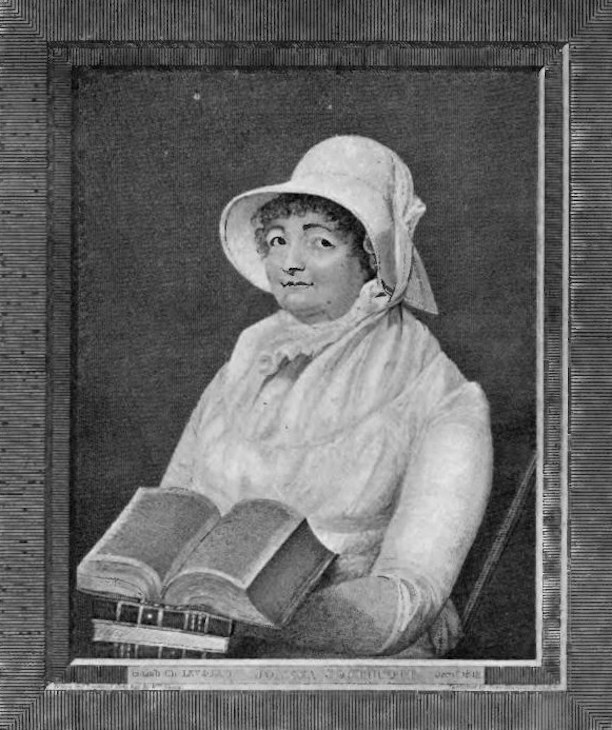 She was born in Devon in 1750 and, at the age of 42, after an apparently uneventful life, started to experience apocalyptic dreams and visitations. She proclaimed herself the celestial Woman of the Apocalypse spoken of in Revelations and began giving rhyming prophecies by a process of automatic writing. Shortly afterwards, she was invited to London and began selling paper Seals of the Lord, said to guarantee their purchasers’ a place among 144,000 others in Heaven. 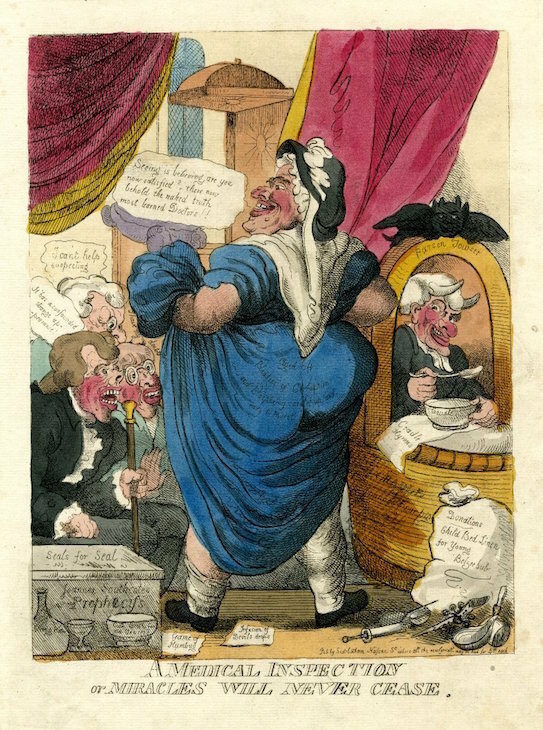 Whether Mrs Southcott was a genuine prophet or not, it's unlikely she was just another fraud. She firmly believed in her mission and abilities, and amassed a huge band of followers, including many men of letters and influence such as Lord Byron. 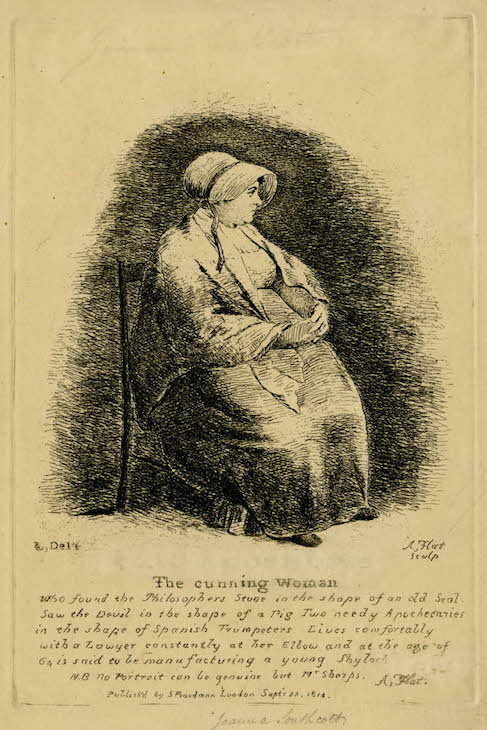 In 1814, after two decades of prophesying, and despite being a 64 year old virgin, she announced she was pregnant and on 19 October would give birth in London to a new Messiah, the Shiloh foretold in the book of Genesis. Understandably this aroused a great deal of public interest — and a considerable amount of satire. The great day came, but the Shiloh didn’t appear, or, if he did, he was said to have been taken back up to Heaven due to lack of faith amongst Londoners. The genuine abdominal swelling cited as evidence of Joanna’s pregnancy seems to have in fact been a serious medical condition. She died shortly afterwards. Though her followers reluctantly buried her decaying body in what is now East Finchley Cemetery, her legacy lived on in her writings and in the mysterious sealed wooden box of prophecies she left behind. 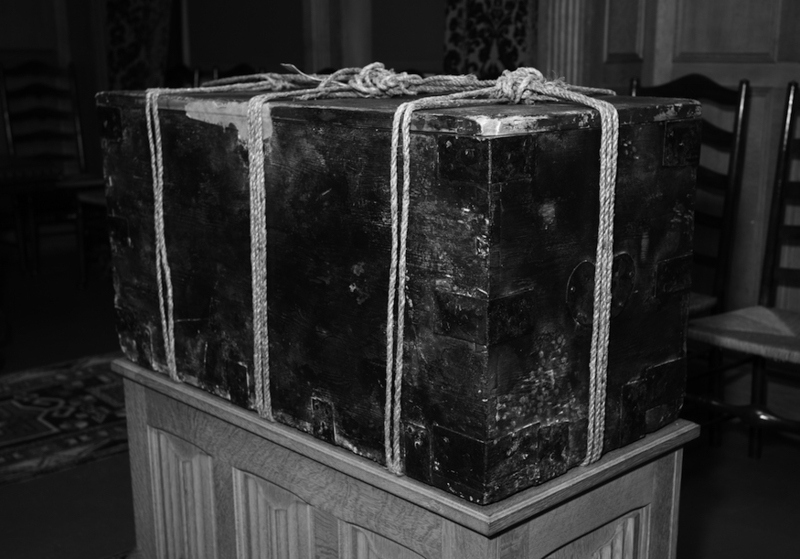 The box was left with the injunction that it be only opened at a time of national crisis, and even then only in the presence of 24 bishops of the Church of England, who were to spend several days in prayer and debate before looking inside. 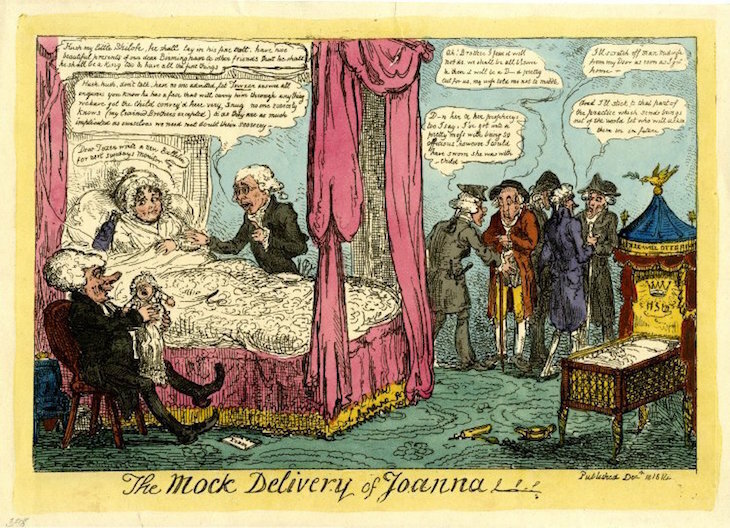 Obviously there have been many times of national crisis since Joanna’s death, including the Crimean War and two world wars, but it has proved difficult to persuade 24 bishops to meet to study her prophecies. In 1927, the psychic investigator Harry Price claimed that the box had been sent to him at the National Laboratory of Psychical Research in Kensington by a mysterious Mr F. M., who said it had been in the possession of a Welsh family of his acquaintance for many years. This box was quite small, a 12-inch long walnut casket with a heavy lid and two rusty steel bands round it. 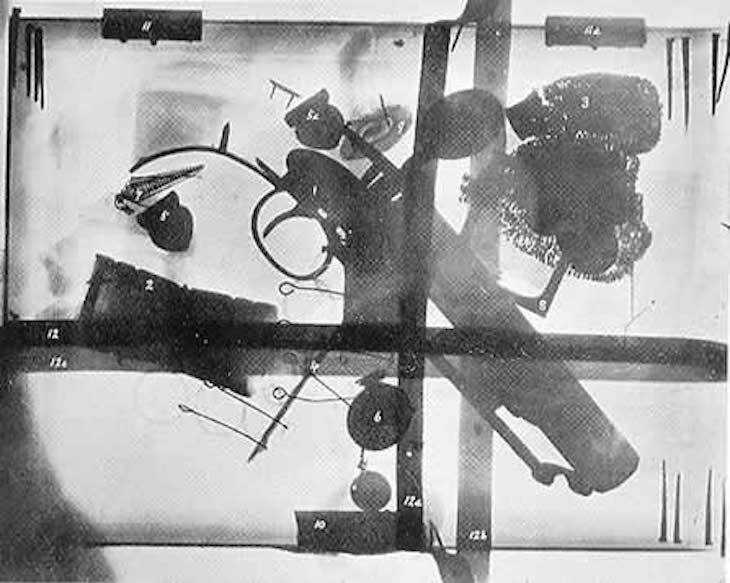 Price used it to test the predictive powers of various mediums before he first x-rayed it and then opened it in the presence of the Bishop of Grantham. The predictive powers of the various mediums did not prove particularly accurate. The box was found to contain a few books and papers, dice, a lottery ticket, a night cap, earrings, a purse and an old horse-pistol. There was no sign of the prophecies that would save England. Southcottians, of whom there remained a considerable number, claimed that this was not the true box, citing its weight and size. One branch formed The Panacea Society in Bedford (described as the site of the Garden of Eden) where they were based in a terraced house kept prepared for the return of the Shiloh after the Second Coming. The Society is still going — now known as The Panacea Charitable Trust — in a house that doubles up as a small and very interesting museum. The trustees claim to have been the custodians of the genuine box since 1957 and say they will continue to abide by the conditions for its opening. It is kept in 'a safe and secure location within the Bedford area’. The box on show at the museum is a replica. 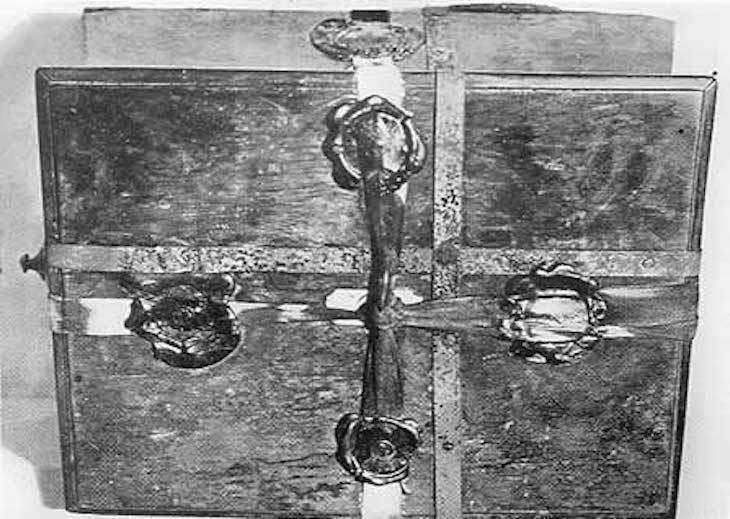 But other assertions have been made for the whereabouts of the true box, including the claim that in 1966 it was put "for safe keeping" in the British Museum. There it was allegedly opened, selected papers were removed to the British Library and the rest of the contents stored in the basement. If it is still there, the curator we spoke to has no record of it. Others have made wider claims — that the true box was opened in Carlisle in the 1920s, and that the Shiloh has returned and is now occupying the body of Prince William. Harry Price speculated that several boxes may have existed. The one he opened, genuine or not, seems to have disappeared. If you ever come across one yourself, would you let us know?